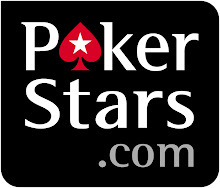 So after a lot of thought and consideration I have decided to part ways with RainmanPoker.net. It was not an easy decision, however, for me I feel it was one that needed to be made. I want to thank Nick for giving me the opportunity and I want to thank all the great students and horses I was able to work with over the last eight months. I was able to get to know a lot of you and even meet a few of you in Vegas and it was a great experience. I especially want to thank Bodeye, who is a great guy and friend, and one I will hopefully know for a very long time. Wish everyone the best, I will continue to update my blog, so you can always find me here. Sorry to hear you're leaving Rainman Poker. I really enjoyed your sessions but I'm glad to hear you're back in Vancouver since that's where I live and better to have a good instructor in Van than in Vegas. Agreed, sad to see you go. I wish you could teach me more of the Turbo HU SNGs Crushing them for a good 18% ROI since your vids. Thankyou. Sorry to see you go Aaron. Good luck! is this the end of Rainmanpoker? As far as I know, RainmanPoker will continue business as usual. will you be making videos for another site? I've heard great things about you and was going to join Rainmanpoker cause of your work. Good luck with everything else.